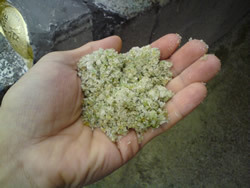 你在: 首頁 » English » FAQ » How is the glass recycled? How is the glass recycled? 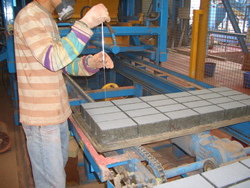 It is invented by HK Polytechnic University and has been manufacturing at a local eco construction material factory. The major constituents are recycled aggregates from construction and demolition waste, recycled waste glass and fly ash from power plants. 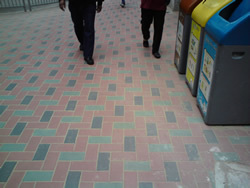 The Eco-block is used for pavements. It has undergone three generations of development and the latest generation contains an air cleaning agent, titanium dioxide (TiO2), in block production. Titanium dioxide helps remove nitrogen oxides from atmosphere. When used it, the level of nitrogen oxides can be reduced by an average of 20%. Nitrogen oxides contain nitrous oxide, which is the third largest greenhouse gas contributor to overall global warming, behind carbon dioxide and methane. 2 Responses to How is the glass recycled? How can I request a glass recycling collection point in Po Hong Fong? Can you tell us that where is Po Hong Fong or the chinese of it? I am sorry that I can’t find the location of Po Hong Fong, so it is hard to tell that how can you request a glass recylcing collection point.